Okay fine you know that salwar kameez are vibrant in India and everybody loves to wear them. But what you don’t know is that the right pick for the right occasion. You have to be aware of the options you have for different events. You cannot simply pick any random dress for any specific event. Different gatherings demand different types of suits. You need not to worry about the options and varieties because platforms like Acchajee.in have everything on their shelves. You can get as many options as you want to quench your desires. Salwar kameez for different occasions have to be picked as per the type of the event, the season and the gathering type. It is apparent that weddings are lavish and not essentially you need to wear the lavish dress or saree. You can go for salwar kameez in light appearance having sober cuts and absolutely plain fabrics rather than the completely embroidered ones at all wedding ceremonies.These dresses can also be lavishly embroidered and elaborated dresses; it’s a festive and fun occasion and hence you can choose colours and styles that add more fun and vibrant happy vibes. You can pick embellished salwar suits, whether it is all over work, sequined really heavy borders, metal work or even the thread work or add the designer concepts can add charm to the evening. Be it gown style suit or anarkali suit; you can literally play with designs. You can pick the fabrics like embroidered net, lace or even plain net along with sequined fabric, brocades, jacquards, silks, raw silk, georgettes and much more that add glamour and sheen. The choice of these outfits would also depend on season of wedding either winter or summer. It would be good if you pick light fabrics such as linen, cotton, Chanderisatin, silk which are convenient to handle. Then shades would be light ones like yellow and its shades similarly white, light pink, off white or peach can also work or simply orange. These shades would give your salwar kameez a distinct nature. Talking about the styles, you can go for Punjabis salwar suits and Patiala salwar suits as they are the best choices. Similarly one more basic would be the churidar suits or even the palazzo suits to add that simplicity to the event.If you want you can go for rich designer ones too. Work detail can apparently be seen in borders or work and patches and prints can also add that statement appearance. Whatever be your choice, you can take that aspect in mind. Another thing you should keep in mind is that when picking salwar suit remember that the dark colour work great for night and light for day Mehendi. Thus, it is time to make the occasions and events more happening and glamorous you’re your amazing dress. 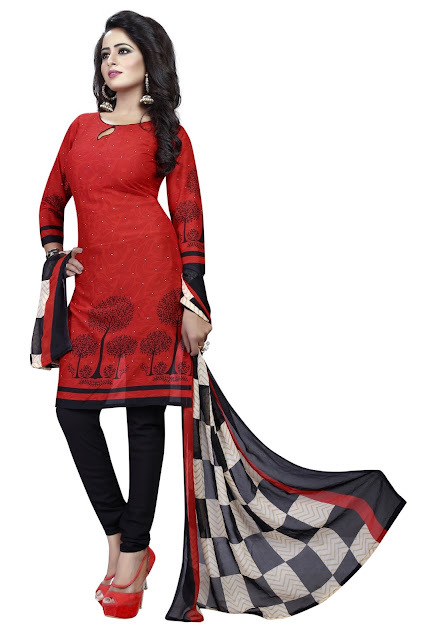 Pick a salwar kameez from Acchajee.com and make sure that your outfit in the party fetches you numerous compliments. Your presence should be impactful and glamorous.